In Parashat Vayetze, Jacob dreams of a ladder with angels ascending and descending between heaven and earth. They next morning, Jacob awakes and says, “God was in this place, and I did not even know it.” Herein lies a subtle but clear message that while other faith traditions view heavenly bliss as the ultimate religious achievement, for Judaism, the ultimate religious expression is bringing a bit of heaven onto earth. Korach is grumpy about something. This Levite is jealous of the power and prestige of his cousins Moses and Aaron and stages a rebellion. With an assist from God, the rebellion fails miserably, and Korach and his comrades are swallowed by the earth. 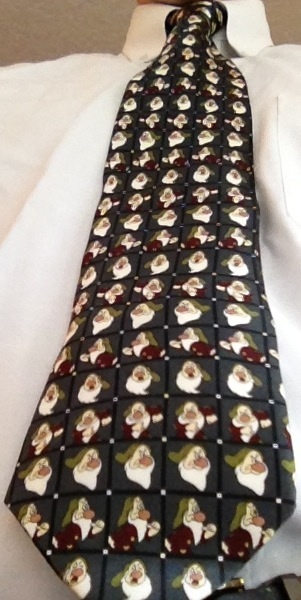 A few years ago during a family trip to Disney World, in one of the shops I found this tie featuring Grumpy from Snow White and the Seven Dwarfs. It occurred to me that I coukd wear it for Parashat Korach whose namesake is the grumpiest person in the Torah. To be fair, Grumpy the Dwarf is not a sinister character; his name reflects more his disposition than his character. Still, one gets the sense Korach was an unhappy–and most especially grumpy person. Shabbat Shalom–and be happy! Ok, so it’s not exactly a tie connected to a Torah portion. 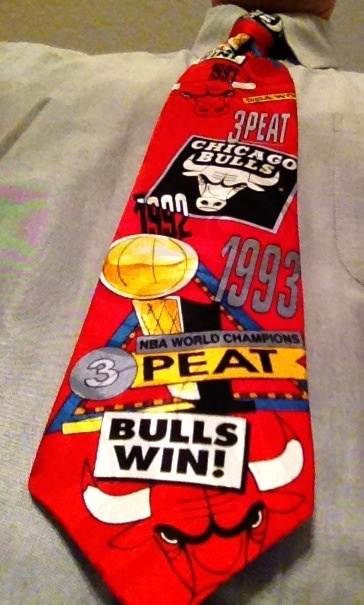 I’m just showing some native Chicago pride in light of the Bulls advancing in the playoffs. 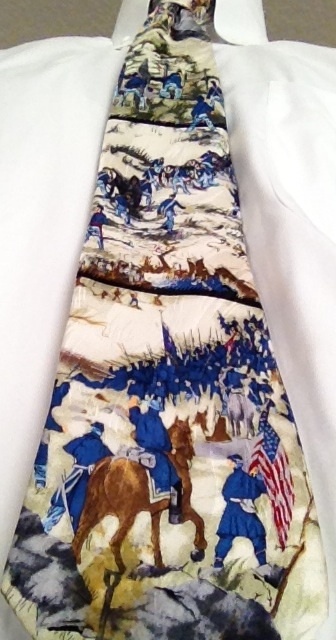 Then again, I may recycle this tie when we read in the Torah about the Red Heifer.